Fresh allegations have emerged against the notorious Kotoka International Airport (KIA) drug baron, Solomon Adelaquaye, as over €1million (approximately GH¢2.6million) has been found in his bank account. The incarcerated Managing Director of Sohin Security Services Ltd, the private security firm at the Kotoka International Airport (KIA), who was arrested in the United States of America in May, is said to have received a questionable €1million in his account with a local bank in Accra. The amount was tracked down by the covert agency- the Financial Intelligence Centre (FIC) – instituted to hunt money launderers in Ghana, as far back as October 2012. The FIC’s investigations were triggered by a whistleblower within Five Stars Mining Company Ltd, the mining company also owned by Solomon Adelaquaye, who is facing drug trafficking charges in the US. Daily Guide is privy to a confidential report of the FIC dated October 10, 2012 and addressed to the National Security Coordinator, Larry Gbevlo-Lartey. 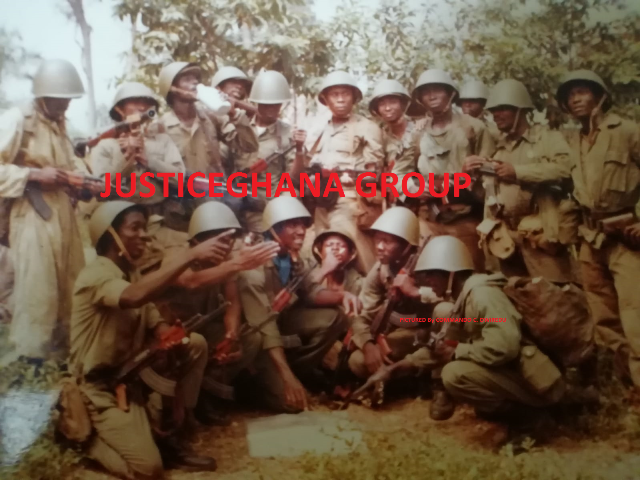 The FIC accordingly wrote to the National Security Coordinator to inform him of the outcome of its investigations in a letter dated December 13, 2012, in which it also identified the Directors of the company as including Adelaquaye who was CEO, one Mark Archibald, Rufus Kofi Korvili Mensah and Eric Kwaku Harrison as the secretary, all purported to be bearing Ghanaian passports. The letter alerted Mr. Gbevlo-Lartey about the fraudulent activities of the man whose company was responsible for security at the country’s only international airport at the time. In the report, FIC told the National Security Coordinator how Adelaquaye’s mining company’s bank account number 8700231292600 with a local bank (name withheld) has been used as a conduit for laundering all sorts of fraudulent money for his partners abroad. The embattled Sohin Security boss is believed to have retained 50 per cent of all the monies transferred through him as payment for allowing his account to be used for the fraudulent movement of cash. According to the report signed by Edward M. Musey, for the Chief Executive of FIC, Mr. Adelaquaye is able to use his influence in high places to acquire forged documents to allow him to do those illegal transfers around. “The CEO [Mr. Adelaquaye] is said to be a very influential person in society who is able to acquire forged documents to withdraw such funds…through such practices, he subsequently retains 50 per cent of all transfers for his own benefits,” the FIC stated, relating to the allegations the whistleblower hinted them about. The FIC’s clandestine trailing of this account resulted in a confirmation and a consequent freezing of the account in 2012. As at the last count, the arrested drug baron had one million Euros in that account. The FIC therefore instructed the bank to freeze the account and furnish it with all documents on it and asked the National Security Secretariat and the Economic and Organised Crimes Office (EOCO) to assist in investigations. He was then said to have subsequently used the company’s account as a conduit to receive such funds into the country. Apparently, some top officials of government have long known about the alleged dealings of Solomon Adelaquaye, yet looked the other way as he continued to conduct himself as the owner of the security firm guarding the KIA. DAILY GUIDE can validate that as far back as October 15, 2012, the National Security Coordinator had confirmed to government officials, the FIC’s decision to freeze Adelaquaye’s account at the Abeka Lapaz branch of the named bank. However, they continued to keep the alleged drug baron at the KIA despite overwhelming evidence of his dubious activities. In a letter dated October 15, 2012, notifying all necessary institutions about the freeze of the account of Mr. Adelaquaye due to his fraudulent activities, the National Security Coordinator copied the Chief of Staff at the office of the President; the Minister of Finance; the Governor of the Bank of Ghana; and the Chief Executive Officer of FIC, Samuel Thompson Essel. The letter exposed the inconsistencies in the official explanation that the character of the CEO of Sohin was not known before or during the time his company was responsible for security at KIA. Mr. Gbevlo-Lartey was quoted in a radio interview as saying that he did not know the Sohin boss and that if he met him on the street, he would not be able to recognise him. On June 10, 2013, the CEO of the Financial Intelligence Centre, Mr. Essel, wrote officially to Mr. Gbevlo-Lartey, stating that his explanation of not being conversant with Mr. Adelaquaye was erroneous and misleading to the Ghanaian public. “Media reports on 5th June 2013 have revealed that Solomon Adelaquaye who is also the Managing Director of Sohin Security Services Limited has been arrested and indicted in the United States for drug trafficking. The purpose of this letter is to respectfully remind you that subject [Adelaquaye] is already known to you through the aforementioned report,” Mr. Essel wrote reminding the National Security Coordinator. Early June, media reports announced the arrest of Solomon Adelaquaye in May, 2013 for using his position as the head of security at the KIA to aid hard drug barons abroad. Adelaquaye was nabbed together with his Colombian and Nigerian accomplices. Together, they are suspected to be members of an international drug trafficking syndicate operating between West Africa and the US. In a hasty move to save face, the NDC government ordered the Ghana Airports Company Ltd to suspend its security contract with Sohin Security. In all, about 11 co-conspirators in the drug cartel have been convicted as a result of the covert operation between USA’s Drug Enforcement Administration (DEA) and Ghanaian authorities that spanned between 2010 and 2013. Sohin Security Services Limited was given the airport security contract around 2009, soon after the NDC assumed power.